Quasar Gaming is an online casino that has been online for a number of years. They were one of the first casinos to host Novomatic games (powered by Greentube), and it was nly recently that they brought on Netent as a gaming provider. Quasar prohibits game play on its jackpot game offerings, namely Arabian Nights, Hall of Gods and Mega Fortune from, including but not limited to, the following jurisdictions and/or territories; North Korea, South Korea, Iran, Algeria, Ecuador, Indonesia, Myanmar, Afghanistan, Albania, Angola, Cambodia, Guyana, Iraq, Kuwait, Lao, Namibia, Nicaragua, Pakistan, Panama, Papua New Guinea, Sudan, Syria, Uganda, Yemen, Zimbabwe, Israel, Hong Kong, Philippines, Taiwan, Indonesia, Singapore, Canada, Australia, Azerbaijan, China, Denmark, India, Italy, Japan, Malaysia, Qatar, Russia, Spain, Thailand, Tunisia, Turkey and Ukraine. They are licensed in Malta, and owned by Quasar Limited. 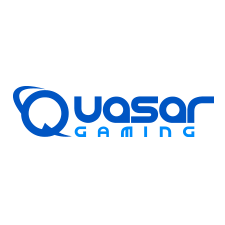 Quasar Gaming has been online for a few years. They were strictly Novomatic powered up until December 2016 when they brought on NetEnt games. They were accredited from October 2016 until January 2017. They were ok on the site, but had a real issue keeping someone actively involved in the forum, so they were dropped at the beginning of 2017 where they entered the Grey Zone. But after being somewhat adamant that they could maintain a forum presence – I brought them back on – they were relisted in the Accredited Section under the condition of having an active representative in the forum. They have some good things going for them: no payout limits, weekend payouts, and a pretty good assortment of games. We hope that they will become more active with our player community – time will tell. 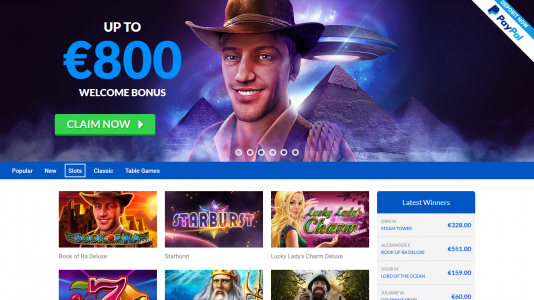 They have some good things going for them as an online casino – no payout limits, fast payouts, and a pretty good assortment of games.